If miscommunication were causing delays and failures in project completion in your business, and sales were clearly identified as being lost to the same causes, and over half your workforce identified it as causing stress, wouldn’t you actually want to deal with it? Apparently not, according to recent findings from an investigation by The Economist Intelligence Unit between November 2017 and January 2108 of 403 senior executives, managers and junior staff at US companies. The risk of miscommunication was clearly identified as having a huge impact on the bottom line of business. The full survey and article can be found by clicking here. The top 3 causes of this poor communication are identified as different communication styles, unclear responsibilities and time pressures. But not far behind these were a lack of strong leadership and personal differences amoung colleagues. As the article suggests, clearly managers need to tailor their communication styles to those around them in order to be effective. Interestingly, 65% of the respondents said that face-to-face meetings are a very effective mode of communication, irrespective of the generation of person surveyed. However, those from the millennial and Gen X demographics do use social media and instant messaging every day in a work context. 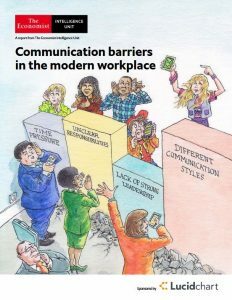 To connect with these colleagues, managers need to incorporate these alternative modes of communication. Equally, as those from the younger generations rise to leadership they also need to ensure they are using communication styles and modes that reach the older members of their teams. Key then, is the ability to adapt your communication style and mode in order to reach across generations. While most respondents (60%) reported using emails every day, only 40% recognised it as a very effective means of communication. To address this, the survey identified virtual-based tools, video conferencing, presentation decks and white boards as being much more effective. Firm-wide training for employees in communication, including awareness of communication differences and what the best applications of various tools are. This entry was posted on Wednesday, August 1, 2018 at 9:35 am	and is filed under Communication, Employees, Leadership, Management. You can follow any responses to this entry through the RSS 2.0 feed. Both comments and pings are currently closed.